Walene James was 86 years old when she passed away in the morning in her home in Spirit Lake, Idaho with her daughter Ingri and husband Paul James by her side. Although her body died, her Spirit lives on in her vision for a vaccine-free world now beginning to manifest as more and more people say “no” to the vaccine religion. Walene will be remembered as a passionate visionary who prompted people to open their minds, thinking outside the box, through her books, articles, radio interviews and lectures. 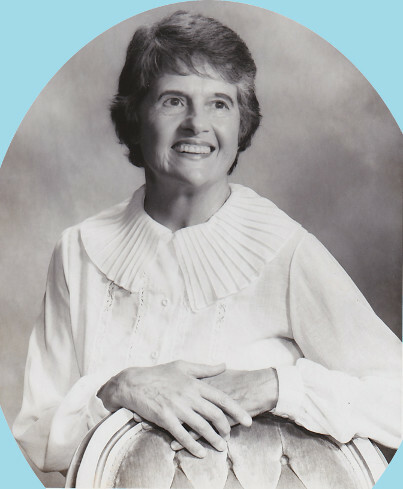 Walene was a retired English teacher who also had a passion for music and the arts. She won a music scholarship to attend the University of Utah where she graduated with a bachelor's degree in English. She continued her education at UCLA where she received her teaching credentials. She was a high school English teacher in the Los Angeles city schools for several years where she earned a reputation for inspiring her students through exposure to poetry and great English literature. Walene was particularly known for her brilliant and innovative writing. Many big names in the vaccine awareness movement have noted that it was her second book, Immunization: The Reality Behind the Myth, that compelled them to put fulltime energy into “the most important health freedom issue of our time”, as Walene would say. A few of these are Neil Z. Miller, Sherry Tenpenny, and Viera Scheibner. One example of her brilliant mind on the vaccine issue is her use of the term “stupefactions” with the first stupefaction being “the medicine I take won't work unless you take it, too”. Walene further elaborates about the idiocy of herd immunity and the concept of this “one size fits all” mindset in her last book, The Vaccine Religion, where you can read about all eight stupefactions as applied to the absurd thinking processes of vaccine zealots. Walene was also an activist who promoted home birthing and frequently spoke out against water fluoridation, forced vaccination and infant circumcision. In 1955, she was a leader in the effort to prevent fluoridation in Santa Monica, California and became the 75th member of the National Health Federation, the leading health freedom advocacy organization in the country. Walene wrote several articles for their publication, Health Freedom News, that usually focused on the vaccine issue. Even though she created these charts 10 and 20 years ago, they are actively used by writers today. For instance, the quarterly magazine, Pathways to Family Wellness, is reprinting her first chart, Two Theories of Disease, in their Winter 2012-2013 edition. Walene, who left the Mormon church as a young adult, made a huge impact on the direction of her younger brother’s life and gives us insights on spiritual philosophies that formed her astute mind. In memory of his sister, Norman Monson wrote to his older brother and the rest of the family the following: “Undoubtedly, the most important impact on my life was Walene expanding my thought boundaries and spiritual insights. Paving the way for the exploration and creation of new religious ideas and understandings was Brewster Ghiselin, one her favorite professors at the University of Utah and author of The Creative Process. Through accounts of many creative geniuses, it highlighted the importance of an open mind and the need to drop the struggle for a solution when it’s clear the mind can’t figure it out. It described the process leading to the ‘aha’ experiences of various well regarded creative innovators in diverse fields. The common prerequisite was to abandon all efforts to solve what had been an intractable problem. With the mind empty and still, the solution suddenly appeared. “Walene’s first influence in getting me to think outside the box began when she told me about Duke University’s JB Rhine’s work on ESP (Extra Sensory Projection). I immediately went to Wilson's Bookstore, her favorite bookstore in Salt Lake City, and bought a copy of his book. I also bought other books on paranormal experiences, even having some success myself with astral projections. It wasn’t long until she was guiding me to read other, more spiritual books. “Certainly, Walene's long and passionate interest in health and education and the flaws she found in the conventional wisdom, about which she wrote and lectured, are well known. What you may not have known was the depth and extent of her spiritual beliefs that led her to reject Mormonism. Walene had memberships in several environmental groups and endeavored to live a holistic lifestyle in which yoga, eating organic foods and supporting farmer’s markets were an integral part of her life. She abhorred the concept of war; her writing reflected the absurdity of the war mentality while advocating for peaceful solutions to our world's problems. Ingri Cassel, Walene’s youngest daughter, also recalls moments in her childhood where her mother imparted knowledge to her that pointed her in the right direction – turning to God for answers. Ingri Cassel carries on the work Walene started as the director of Vaccination Liberation. The following poems were written by Walene's younger brother, Norman Monson, as Walene was preparing to transition to the next world. Walene spent her last few years with several classic poetry books by her side that she loved to read. To the world of Self discovery. To later benefit your daughters. Your destiny to the benefit of many.